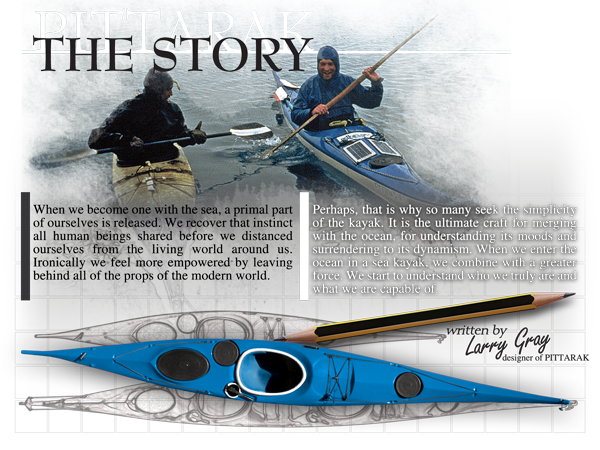 small selection of television documentaries featuring the Pittarak kayak. 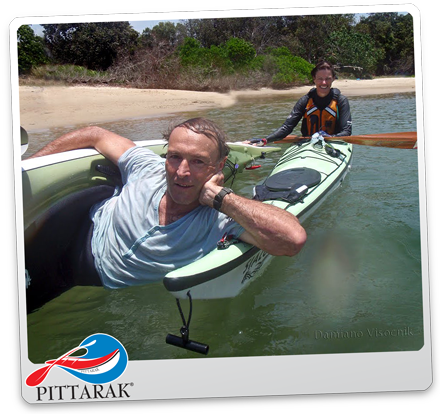 I would like to offer the following perspective to assist people who are dealing with the various issues of a first kayak purchase. 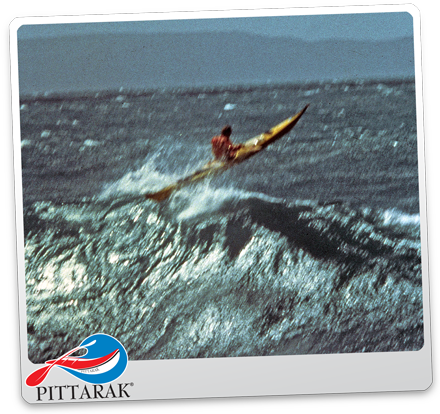 To begin with, I have brought with me paradigms from a background of Whitewater River running and wave skiing since 1980. 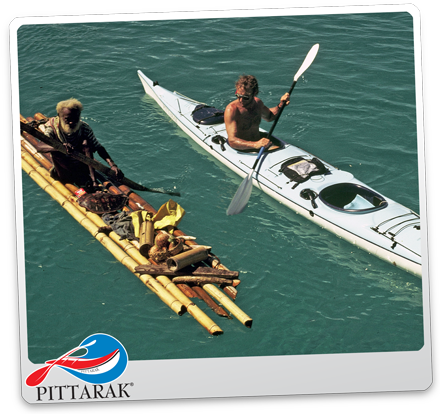 At first I rented various kayaks and borrowed from friends and commercial retailers in an effort to at least develop a set of reference points for decision-making. 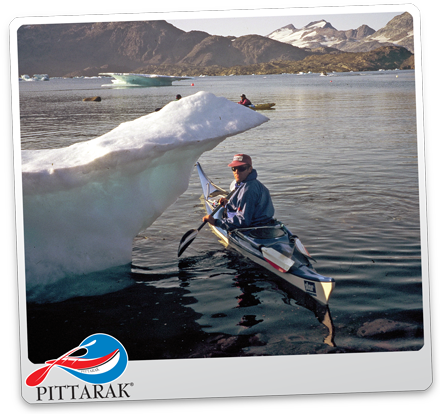 Even though a sea kayak has to travel efficiently between two distant points, nonetheless it has to do many other things, in varying conditions, while it makes that journey. This became more evident as I developed my skills and undertook short trips of increasing difficulty. The external bilge hand pump has proven time and time again to be the most reliable and useful system. 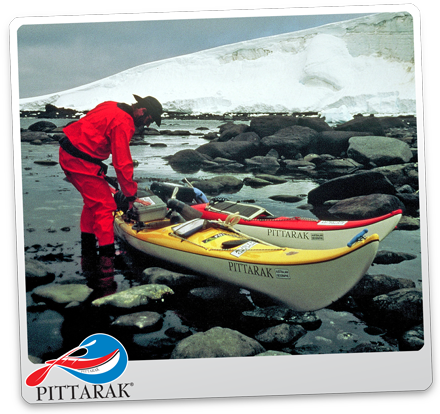 Firstly, one or more people during a rescue can operate it, it can be operated while sitting in or on top of the kayak and it has no batteries or wiring problems as with electric pumps. 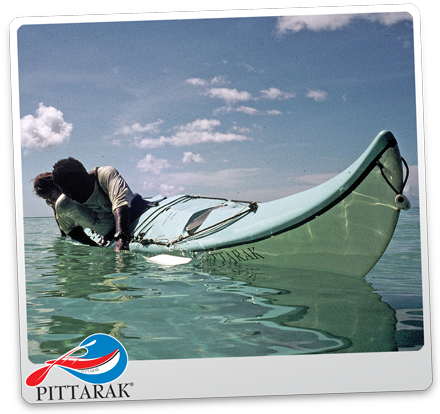 It can be operated in all paddling conditions.The hand pump is designed to remove general paddling slops throughout the day . Once the simple rolling techniques are mastered- pumps become very secondary any way. 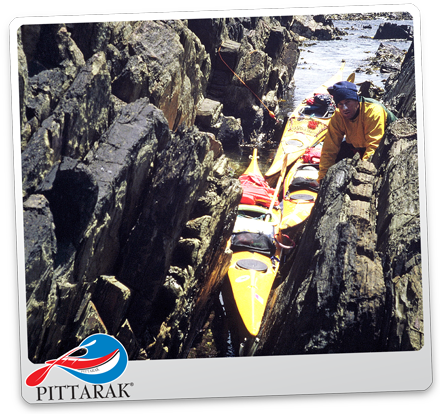 The more a kayaker relies on tricky secondary bailing systems, the more likely a novice will feel a false sense of security to venture further off shore in dangerous conditions. The hatches are recessed to reduce water hammer, which can lift a hatch cover or cause leakage.